The 5DayDeal Complete Photography Bundle 2018 sale is now live, and this year’s bundle is a great one. We love to see that both Skylum’s Luminar 2018 and our favourite quick photo editor Photolemur 3.0 are included in the bundle. Just their addition alone makes the $89 purchase price of the main bundle a great deal. 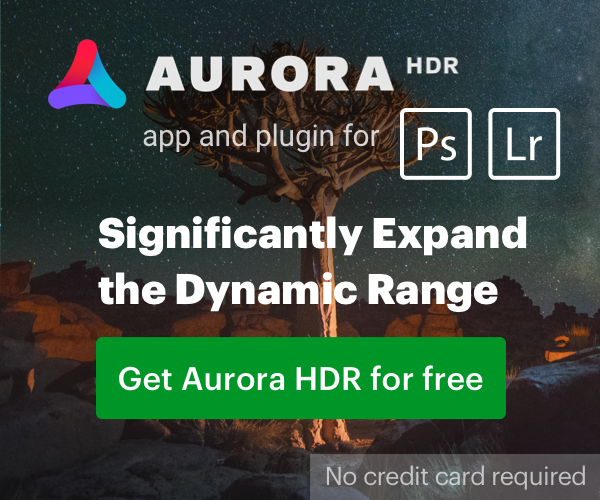 Keep in mind, if you have Luminar 2018, you’re going to receive Luminar 2019 for free. We’ve also looked at the education portion of the bundle and are really excited by the drone classes in both the main bundle, as well as additional drone training in the charity match bundle. There is lots of other great training for all types of photography, plus the usual Lightroom training that most of us can always use. We also love the charity aspect of this bundle and look forward to the contributions the Canon Rumors readers make to this great bundle and its charities. This unique bundle has been curated exclusively to help photographers save time and money, hone their technical and creative skill, and advance their career. Get the resources you need, from the industry professionals you trust, at a price you can afford. See what’s included in the bundle (scroll down). The all-new 2018 Complete Photography Bundle is packed with resources which are 100% brand-new to 5DayDeal. No repeated products. Period. Whether you’re a photographer looking to do more or a diehard professional, there’s something in this bundle for everyone — and the savings are remarkable. This bundle is a once in a lifetime collection of expert training, tutorials, eBooks, software, and digital tools for all levels of photography enthusiasts — there’s something awesome for everyone. This is your only chance to save over 96%. Every single product included in the $89 bundle is downloadable: no codes, no extra steps required. Our lightning-fast server is ready and waiting to deliver every single product right to your computer. DIRECT FROM OUR SPONSORS: AMAZING DEALS AND DISCOUNTS EXCLUSIVE ONLY TO THE 5DAYDEAL COMMUNITY. After purchasing your bundle you will be given access to our 5DayDeal Discount Portal to help you save hundreds, even thousands more! Helping you save money is what we do… and we do it very well. Save anywhere from 10% to 50% to 80% off from our sale partners. WANT MORE? GET MORE. AND GIVE MORE! We have put together more than $2,200 worth of amazing photography tools and resources for you. Then we discounted it 96% — you pay less than 8% of the value — but that’s not all! How would you like to do good and get a reward of more than just a warm feeling inside? This year we have partnered up with a select group of industry folks to bring you a Charity Bonus. If you choose to increase the amount donated to charity by 5DayDeal from your purchase, then as a bonus you will receive more than $1,500+ in additional resources for just $19.00. Instant access to these extra resources will be added to your confirmation receipt — it’s easy as 1-2-3! Charity Bonus adds $1,500+ in additional photography tools & resources for only $19 more! It also increases the contribution to our Charity Partners ♥. Learn more. 1-on-1 instruction costs tens of thousands of dollars, and workshops cost a fortune. Get instant access to the resources you need right now for only $89. INVEST IN YOUR TALENT. INVEST IN YOU. Photography is hard, hard work. Whether you’re preparing for a shoot, crafting an inspired album, mastering lighting and models, planing locations, sorting out gear, putting in the editing time (and then some), or having to try to sort out the marketing or distribution… it’s a huge undertaking. If you’re serious about gaining new skills, working with industry leading tools, and saving money, you simply can’t afford to pass this up. The 2018 Complete Photography Bundle by 5DayDeal will help you thrive as a photographer (at a remarkable price). This deal is gone forever October 16, 2018 at noon Pacific Time. These products will never be offered through 5DayDeal again. This is your chance to save (the galaxy?). May the force be with you. Stop wasting time and money online trying to piece together the skills you need to create stunning photographic work — learn from the professionals that deliver the goods. The resources in this bundle come from accomplished and notable photographers and digital artists whose creative work and teaching acumen are known around the world. This is the photography industry education event of the year. Don’t miss out! The 2018 5DayDeal Complete Photography Bundle is the ultimate package of expert education and practical training from top photographers and software developers from around the world. We think it’s the best bundle out there, but don’t take our word for it. This equals $8.90 per bundle by default, but you can increase that amount by adding Charity Bonus to your purchase. When making your purchase you can choose to increase the charity contribution by adding Charity Bonus to your order. Your extra support comes with a huge THANK YOU plus a bonus collection of exclusive products from some of our photography pros. AMF protects people from malaria. They fund nets & ensure they are distributed, positioned & used effectively. Next, they monitor & report their use and impact. The 2018 5DayDeal Video Creators $10,000 Giveaway is Now Live!